This is a great chance to get a wonderfully enjoyable car. It has had a full 'frame-off' bare metal restoration in the 90s (photo documented) and now has just enough character to comfortably drive and enjoy it. 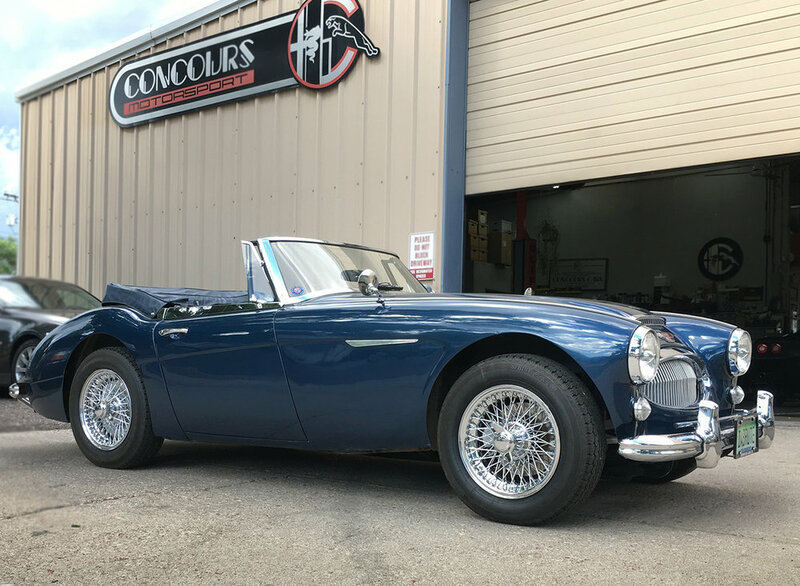 It includes the British Motor Industry Heritage Trust certificate, authenticating it as a numbers matching car, with wire wheels, tonneau cover, adjustable steering column and overdrive as options. The wire wheels have been upgraded to Dayton 72 spoke chrome wheels with Dunlop tires. It was originally Healey Blue but is now a metallic blue that suits the car quite well. 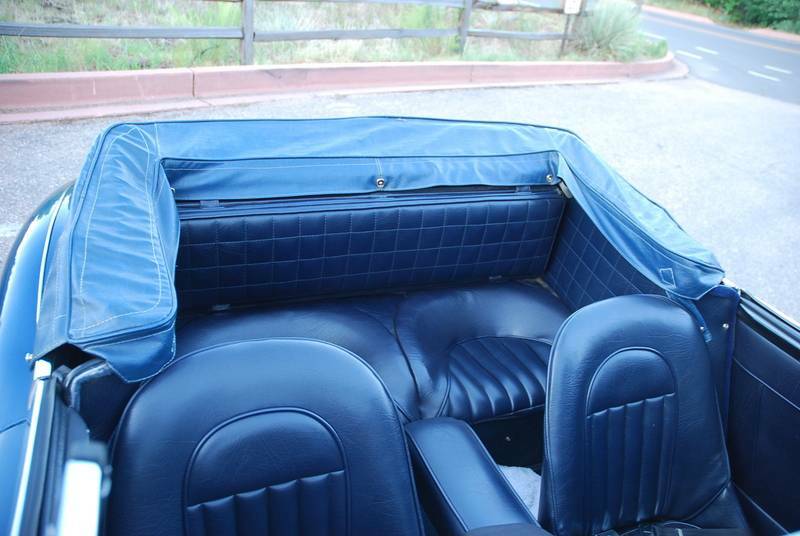 The interior and top were also restored and are now blue in color, complimenting the exterior paint quite well. It has 83k miles, but drives much more like new, thanks to the restoration and new parts. Receipts from the current owner since 2003 are included in a binder, with the restoration photos and Barret Jackson listing from when he purchased it. 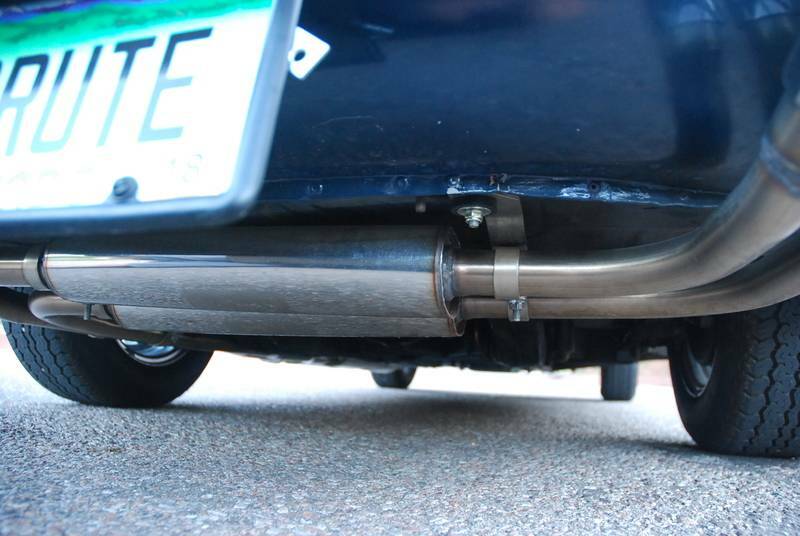 It has a stainless steel sports exhaust which sounds wonderful with the healthy 6 cylinder engine, without being loud or obnoxious. The transmission does have a whine in 1st gear, and can pop out if you drive loaded/unloaded for a longer period of time in that gear, but it has not changed since ownership. The owner is willing to split transmission rebuild cost with new buyer if they wish. 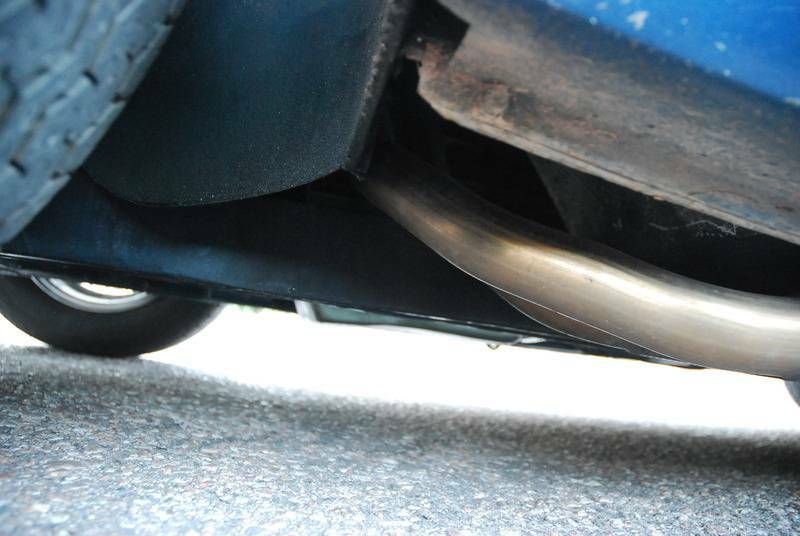 It also has a small amount of play in the steering box. Not much, but worth mentioning for remote buyers. Note also it is currently jetted for altitude, so if the new owner lives lower than 6500ft, rejetting is recommended. It has other upgrades making it more reliable and enjoyable, including Pertronix electronic ignition, a Bosch alternator, “Texas” brand cooling fan, aluminum radiator, tonneau and boot cover (matching the top) and Moto Lita leather steering wheel. 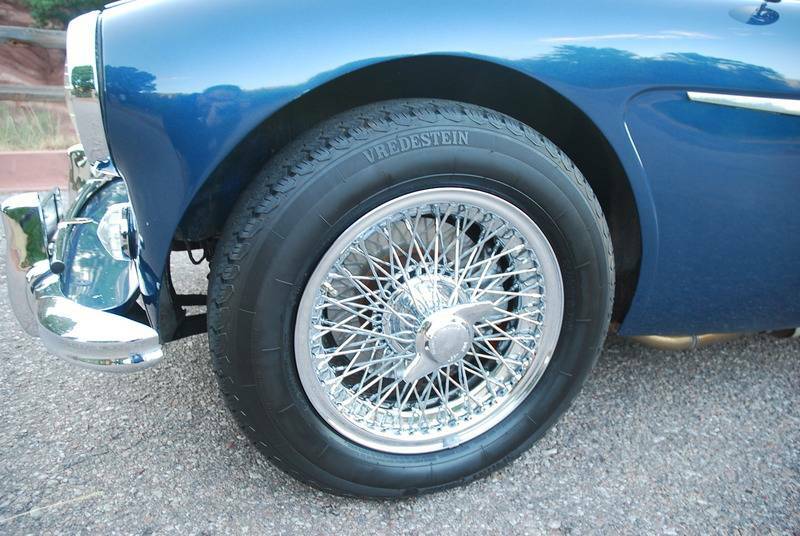 The original wire wheels are also included. 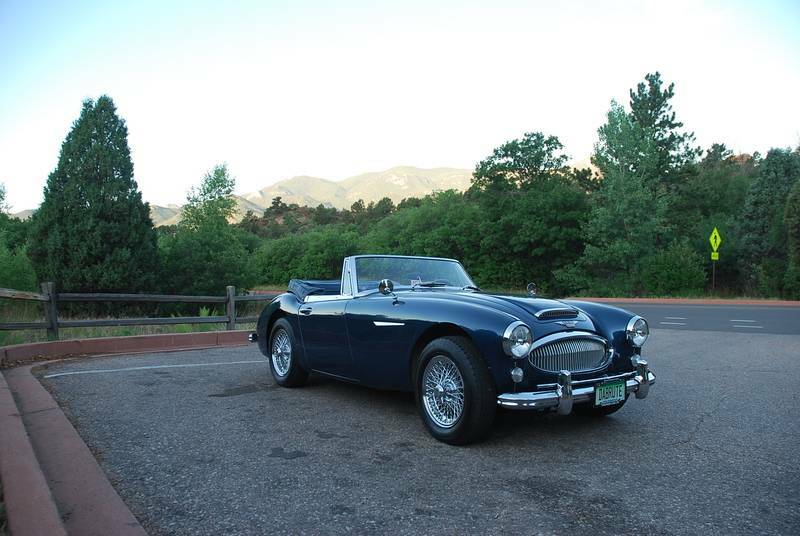 This is a classic roadster that you can jump in and start enjoying immediately. 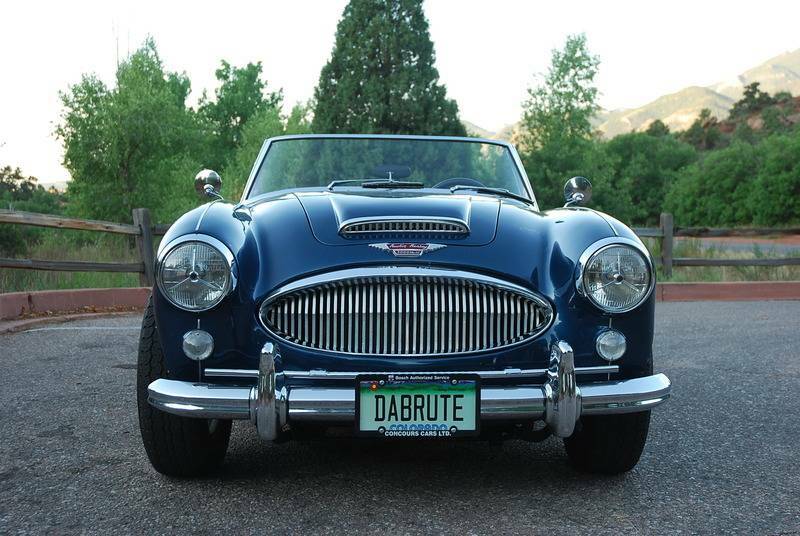 It runs well, drives well, and looks great, with minor cosmetic blemishes from use and age. 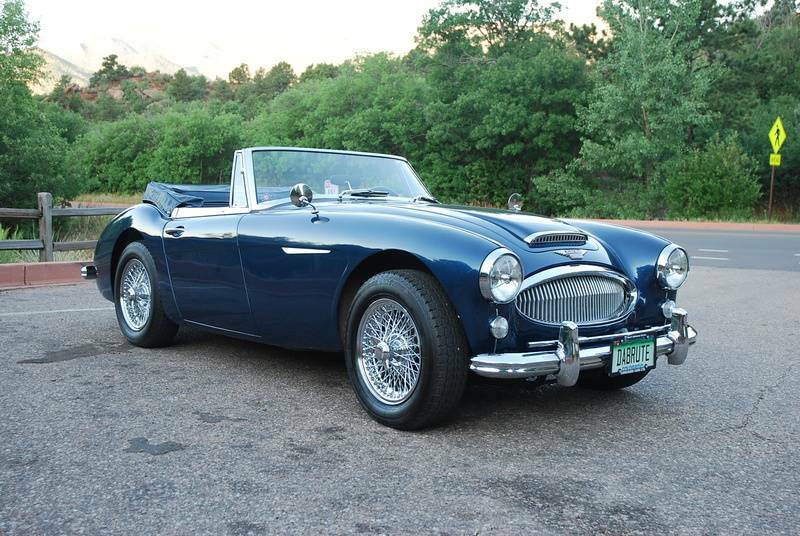 Given the enthusiasm surrounding Austin Healey's, and especially the 6 cylinder cars, this is a solid value at this price.